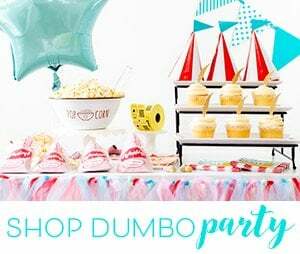 Are you looking for fun party ideas for your kids? 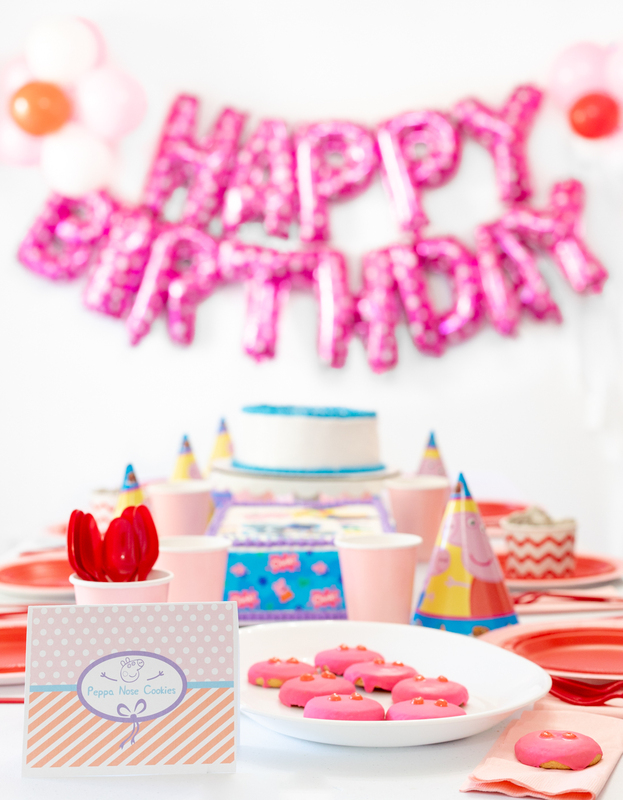 All Peppa Pig fans will love these show-inspired theme party ideas. 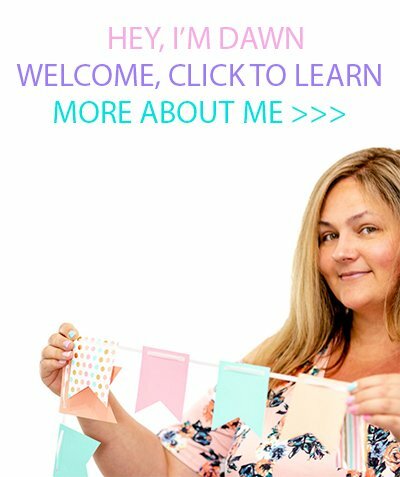 They are no fuss and will help you host a fun party the easy way. To kick off the celebration, I’m excited to *oink* showcase the special Peppa Pig Cakes from Menchie’s. This is a sponsored post by Peppa Pig/Entertainment One (eOne) all opinions are my own. 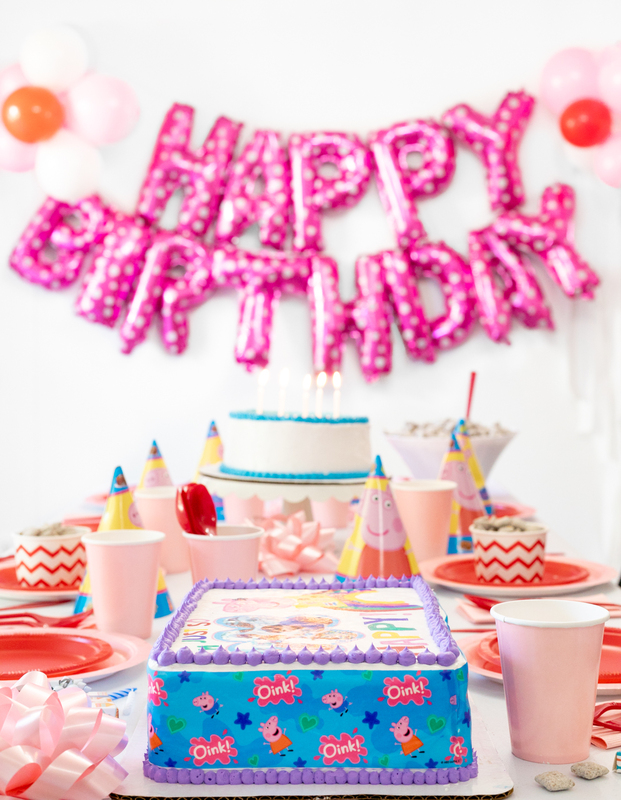 Get ready to plan your child’s next birthday party with this inspo! Peppa Pig is simply irresistible and little kiddos simply love her. 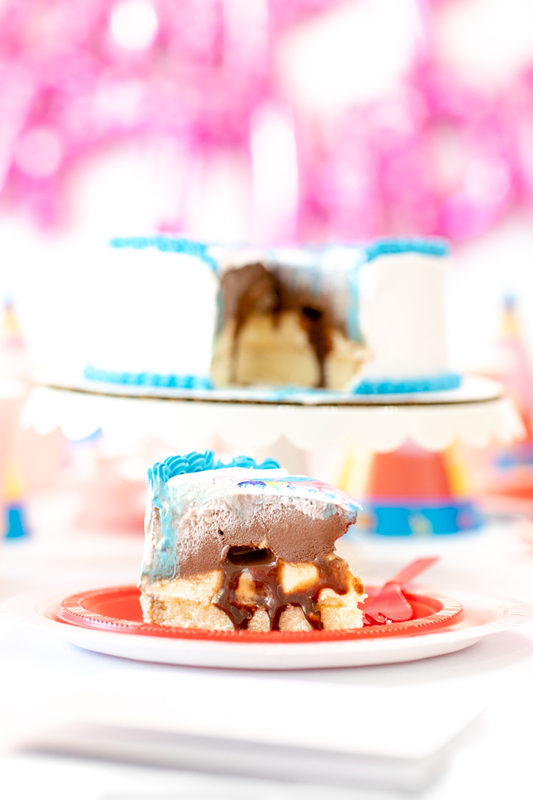 Peppa Pig parties are one of the most requested themes from the little ones. 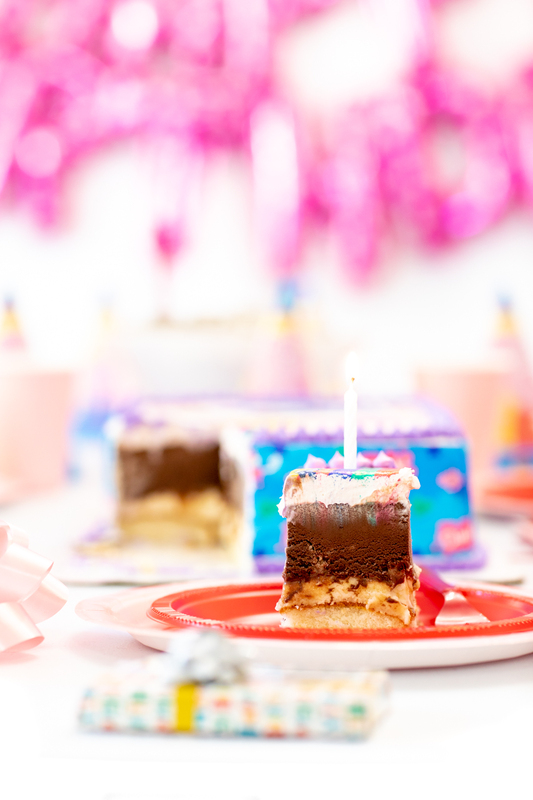 These ideas will help you plan a memorable party with little effort. For any party, you will need to serve food. It’s always fun to serve the perfect food to compliment your theme. Let’s chat about some tasty party foods! 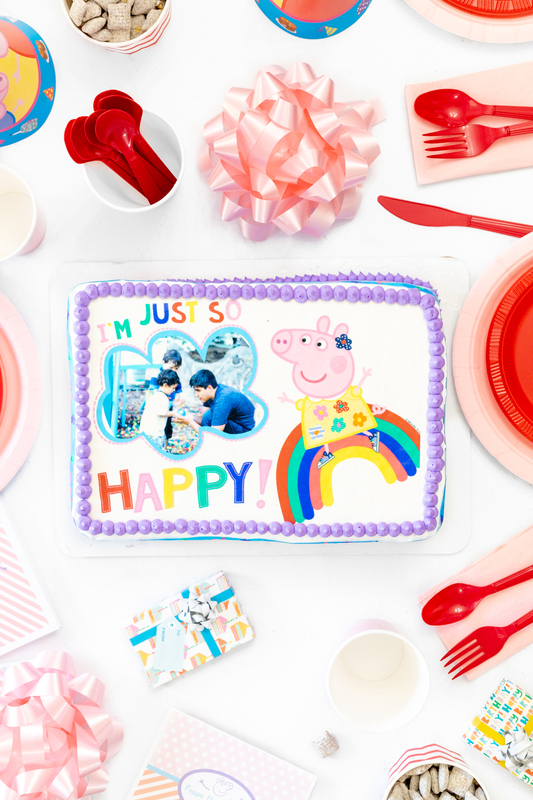 Have you been looking for the perfect Peppa Pig cake? I have the perfect cake idea that everyone will eat right up! For a limited time, you can find Peppa Pig cakes available at Menchie’s! They’re available NOW through 12/31, so don’t delay. It’s party time! 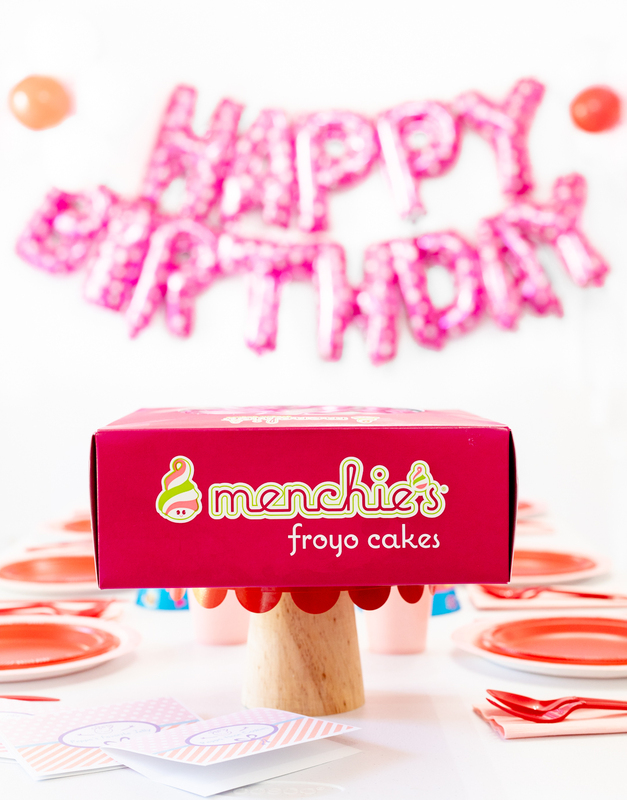 These cakes are made delish with Menchie’s fro-yo (yum) and you can choose from a variety of flavors and fillings to make it perfect for your party. Another bonus? You can customize these cakes, too! You can order them online or in-store, whatever works for you! Just look at how Peppa-perfect these are?! 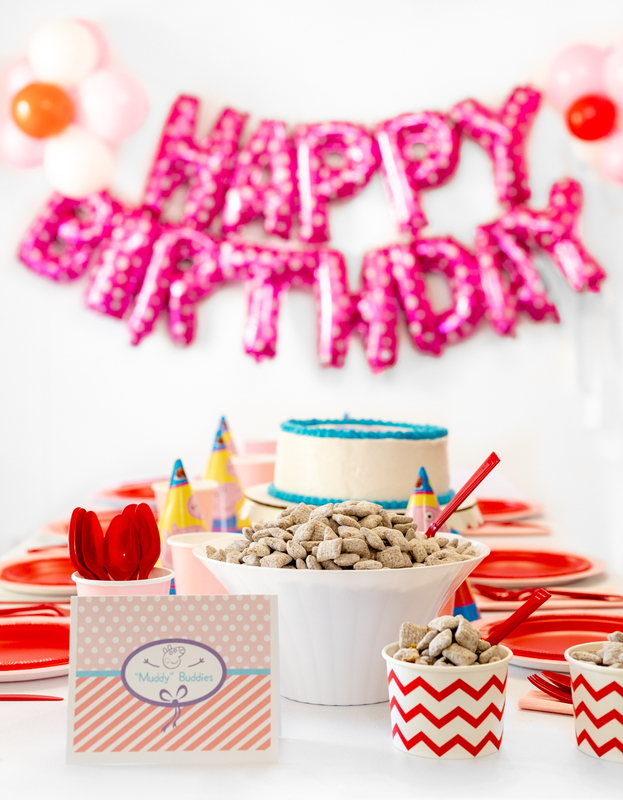 These fuss free Peppa Pig inspired snacks will help you whip up a cute party in no time. 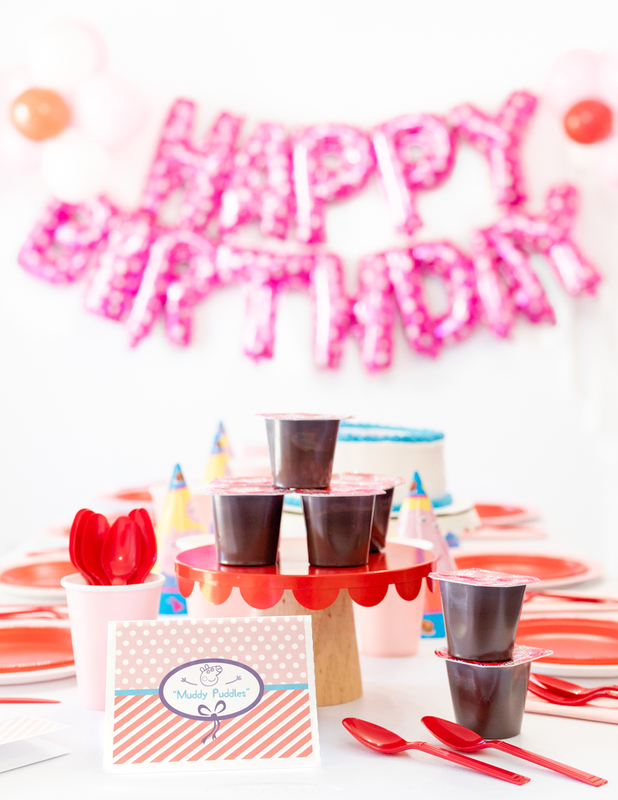 Grab the cute printables below to go along with these fun treats. 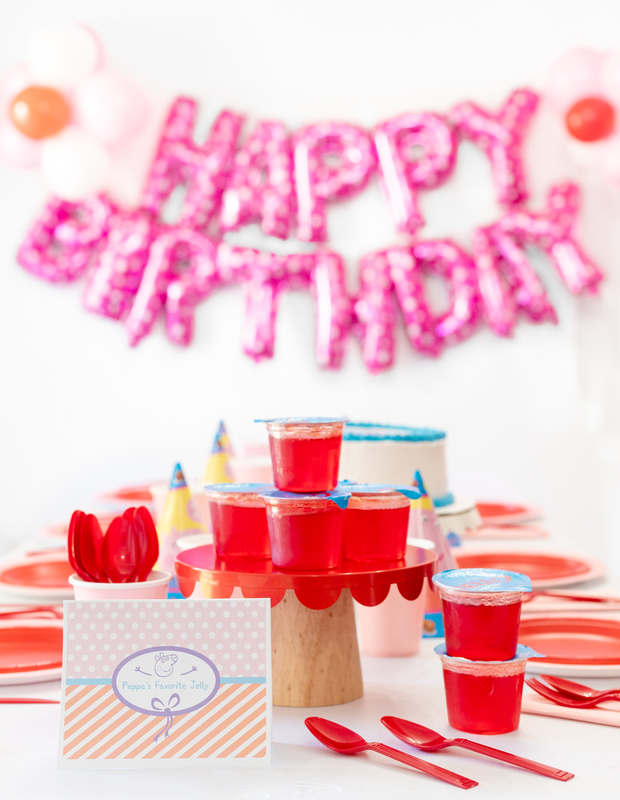 Peppa’s Favorite Jelly – Use Strawberry or cherry Jello cups for this cute idea. Muddy Buddies – Use store bought or homemade Muddy Buddy snacks. Peppa Nose Cookies – These easy to make DIY cookies are perfect for a pig party. You could even have the kids decorate their own at your party for a cool Peppa Pig activity. 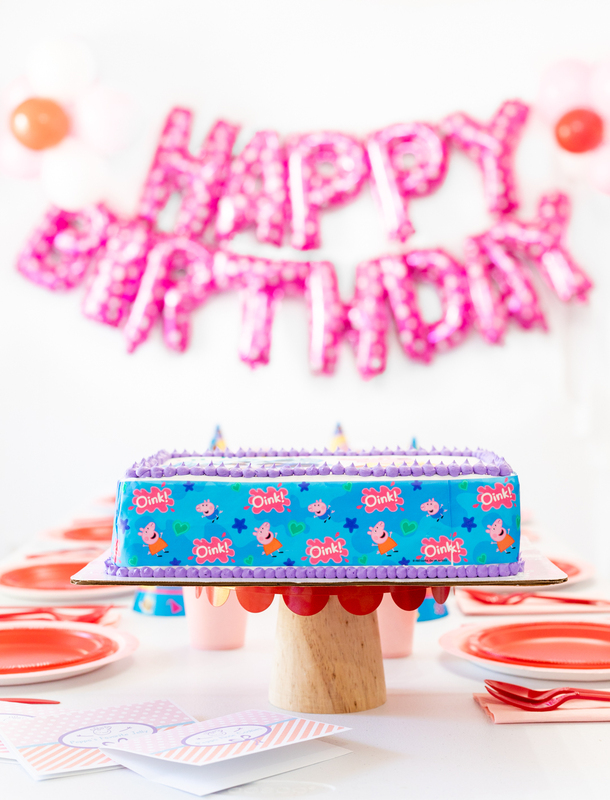 Do you know someone that would love a Peppa Pig themed party? 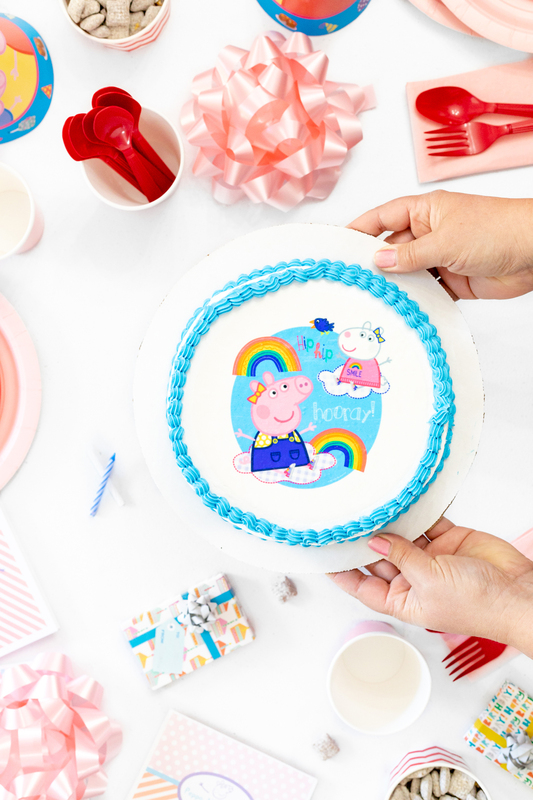 Get more Peppa Pig ideas here and visit Menchie’s for your perfect Peppa Pig cake! Find a Menchie’s location here.